Today we remember Maurice Sendak (1928-2012), arguably the most game-changing children’s author and illustrator of the 20th century; he took age-old storytelling conventions and turned them on their head (or, rather, sent them on a wild rumpus through the forest). His beloved Where the Wild Things Are has topped more recommended book lists than any other children’s book in history—as much for its glorious depiction of a boy’s uninhibited reign over his imagination as for its foray into previously shushed subjects like parental abandonment and night terrors. Sendak’s later books took even more risks, got simultaneously darker and more brilliant (and not without their fair share of controversy). But for me and my family, Sendak’s “sweet spot” lies in his earliest works–no less memorable, even if they didn’t upset the status quo at the time. Before his characters were banished to their rooms without supper or left to wander the streets of New York without clothes, there were the deliciously sweet, make-me-want-to-read-to-my-children-all-day-long moments between a little bear, his parents, and a quirky ensemble of friends. 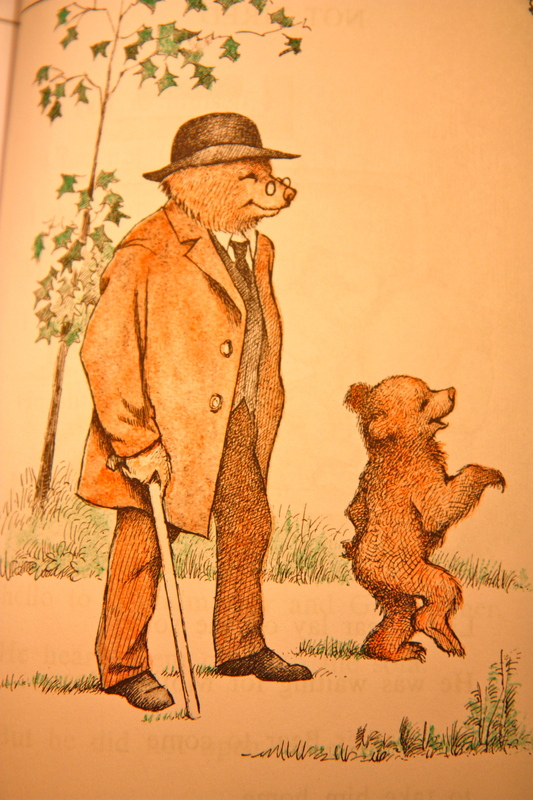 I’m referring, of course, to the Little Bear books (Ages 3-7) by Else Holmelund Minarik, which Sendak illustrated in his 30s. In simple pen-and-ink sketches, Sendak masterfully conveys in his animals a depth and range of emotion that the text only hints at. In a few pages’ time, Little Bear can go from bashful to boastful to stubborn to surprised to on top of the world to completely confused. If that doesn’t sound familiar, you haven’t spent enough time with my four-year-old! But that’s just it: Maurice Sendak was masterfully attuned to the volatility and fragility of children’s emotional lives, and it’s this quality that makes his illustrations so enduring. 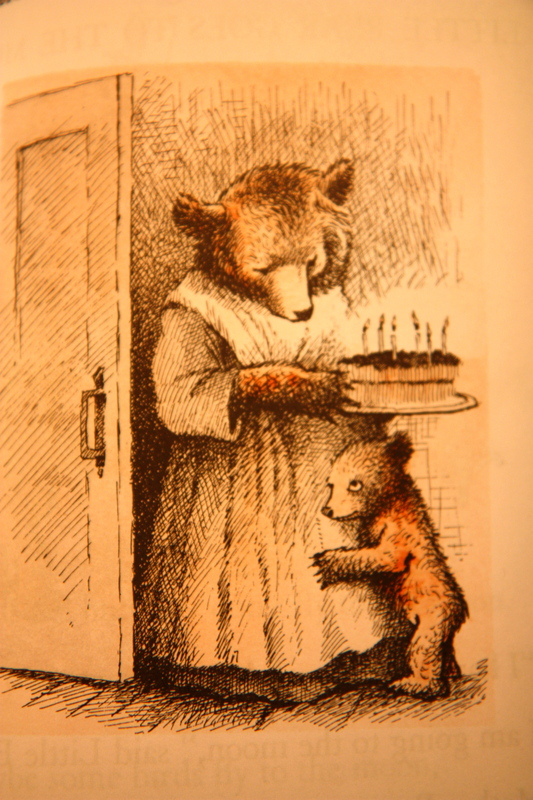 What child can’t relate to the sheepishness on Little Bear’s face when he hugs Mother Bear after she comes home with his birthday cake, only to find he has made “birthday soup” for his friends, believing she had forgotten his special day (Little Bear)? Or his goofy expression as he’s trying to get a laugh out of Grandfather Bear on one of their walks together (Little Bear’s Visit)? 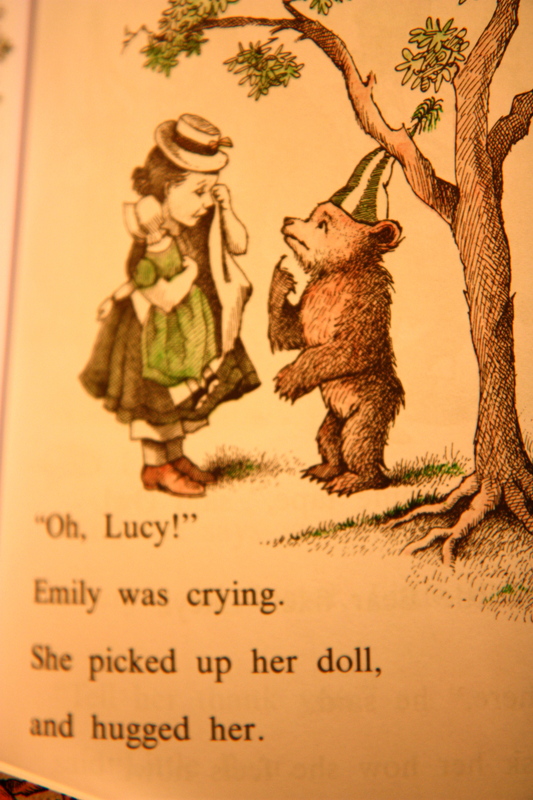 Or the look of panic when his friend Emily’s treasured doll falls from a tree and breaks a limb (Little Bear’s Friend)? Or his wide-eyed wonder while listening to Father Bear’s tales of meeting a mermaid at sea (Father Bear Comes Home). Mention one of these moments to JP and he is quick to page through the corresponding book and point out the picture. Many a morning I’ve made JP’s bed, only to find these dog-eared paperbacks deep down in his covers; he is not unlike Max, embarking on his own imaginative journey with the help of these treasures. Today, when I broke the sad news about Maurice Sendak to him, his words said it all: “Don’t worry, Mommy. Little Bear will always be my favorite.” Sniff. You are currently reading Send-Off for Sendak at What to Read to Your Kids.